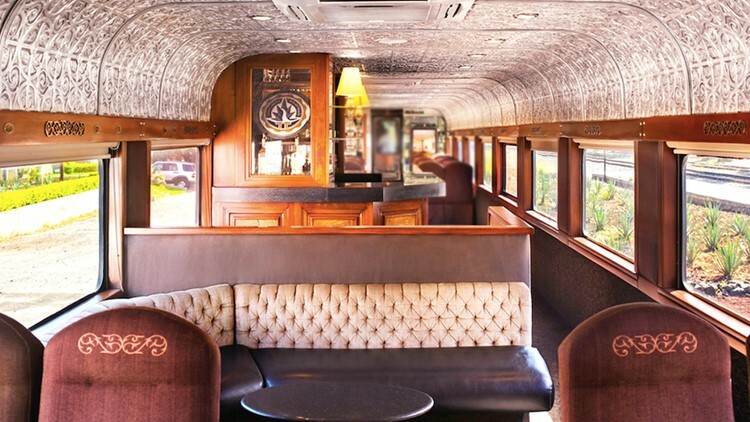 Mexico now has an all-you-can-drink tequila train... the Jose Cuervo Express! Ticket prices range from $111 to $132 - all include an open bar and a lesson in tequila. If you’re heading to Mexico anytime soon, and you’re a tequila lover, you may want to buy your tickets now for the Jose Cuervo Express. You can choose from three different ticket levels. All three include a round-trip train ride from Guadalajara to Tequila, an open tequila bar, a tour of the Jose Cuervo Distillery and a show. Tickets are advertised as low as $111 USD. Delish reports the distillery, La Rojeña, is one of the oldest in the Americas and has continued to produce the tequila company's liquor for over 250 years.